A blog hop is just one big loop of crafty, fun ideas as you visit each of the connected blogs. If you are coming from Krista's Krafty Corner, you're on the right path. If you are starting here, just look for the link at the end of my post (and successive posts) to see which blog to visit next. The new products I chose to work with are from the Cats and Bats collection. 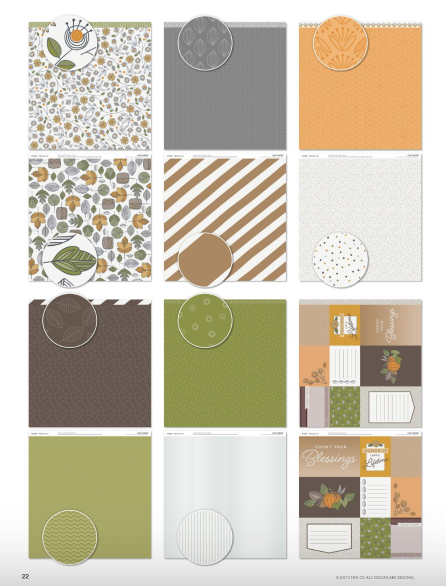 The great thing about this paper pack is that it can be totally Halloween related, or if you're like a lot of the gals who come to my scrapbooking workshops, you might not want Halloween layouts. Today I have some of both. This layout has die-cuts from the CTMH Cricut Collection - YOU ARE HERE for the pumpkins. 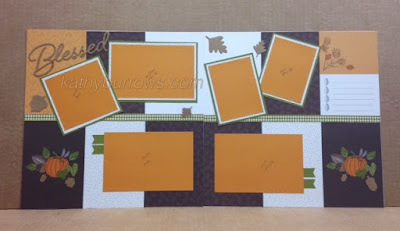 I used both sides of the goldrush cardstock to get the two different tones for the pumpkins. The vines are from the CTMH Cricut Collection - ARTBOOKING. 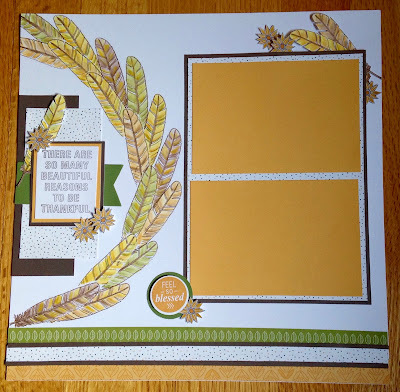 For this layout, I used the September Stamp of the Month, Feel So Blessed. The willow diagonal striped paper is the black and white paper from this pack. I applied the Willow ink directly to the paper to the paper to get the color I wanted for this layout. Not all of my workshop gals wanted the paper with all the Halloween related words, so I found another way to use them. I cut letters and picture mats instead. 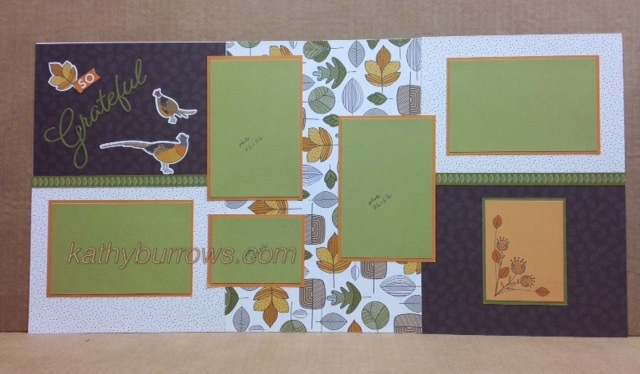 The letters on this layout came from the CTMH Cricut Collection, YOU ARE HERE. The leaves were cut from the CTMH Cricut Collection, FLOWER MARKET. The leaves were stamped to give them some texture and color using the stamp set, Splash of Color. I really like the two-tones of our updated cardstock. The picture mats on this layout use both shades of the emerald cardstock. So now, for some Halloween layouts -- however, for those who don't want the Halloween layouts, a few pieces at the top of the page could be changed and embellished with something other than the Cats and Bats complements included here. 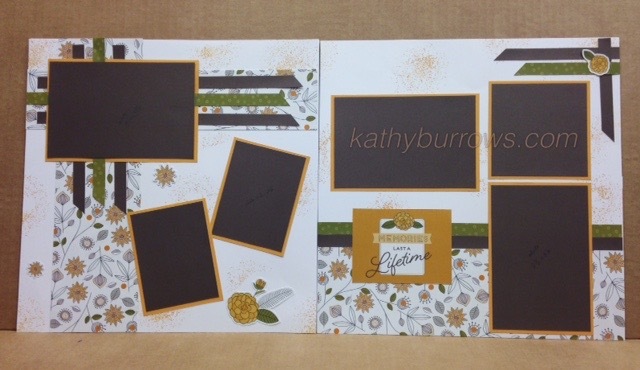 The same thing goes for this layout - just change the embellishments to have a more generic layout. The zip strips used on this layout had a white background with the black dots. I used the same technique with willow ink applied directly to the paper. Thanks for visiting today. Join me as we hop on to see which new products Carrie at Miss. Carrie's Creations is showcasing. 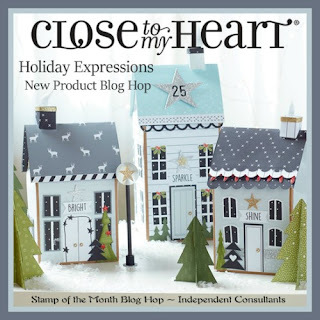 Be sure to visit all the participating consultants to see all the beautiful new holiday Close To My Heart products. All the participants in this blog hop are listed here if per chance you need to get back in the loop. 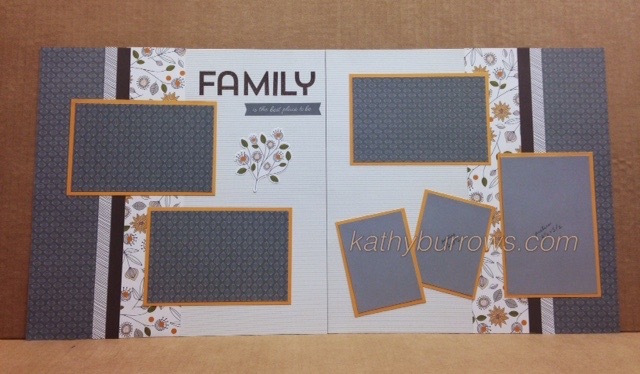 These are the layout plans I am offering this month during my workshop. In addition to the paper pack shown, the matching complements and some supplemental cardstock will be needed to complete each workshop. Workshop cutting guides are available upon request with a minimum $20 order placed on my website for each cutting guide. A blog hop is just one big loop of fun ideas. 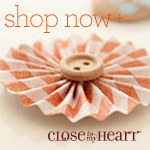 If you are coming from Tracie's blog, you're on the right path. If you are starting here, just look for the link at the end of my post (and successive posts) to see which blog to visit next. 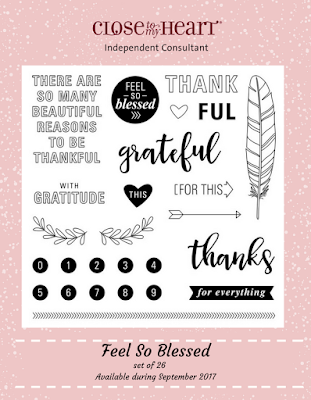 This month's stamp set, Feel So Blessed, features 26 stamps and is available only through the month of September. You can purchase this cute set for $17.95, or get it for only $5 with a qualifying order of $50 (US) through your Close To My Heart consultant. .
For my project I worked on the opening page for a new album I intend to start this fall to include photos and journaling about all the wonderful blessings in my life. To begin this layout, I traced a partial circle with pencil, created a mask of the feather stamp and then stamped feathers around the line with Expresso ink. I then used a blender pen to shade in the feathers using Expresso, Goldrush, Saffron, and Fern inks. The small flowers were cut from the Falling For You floral paper. Thanks for stopping by today. Now, join me as we hop on to see more ideas for this fun stamp set as we visit Miss Carrie's Creations . Be sure to visit all the consultants who have joined in on this blog hop for lots of inspiration for this stamp set. 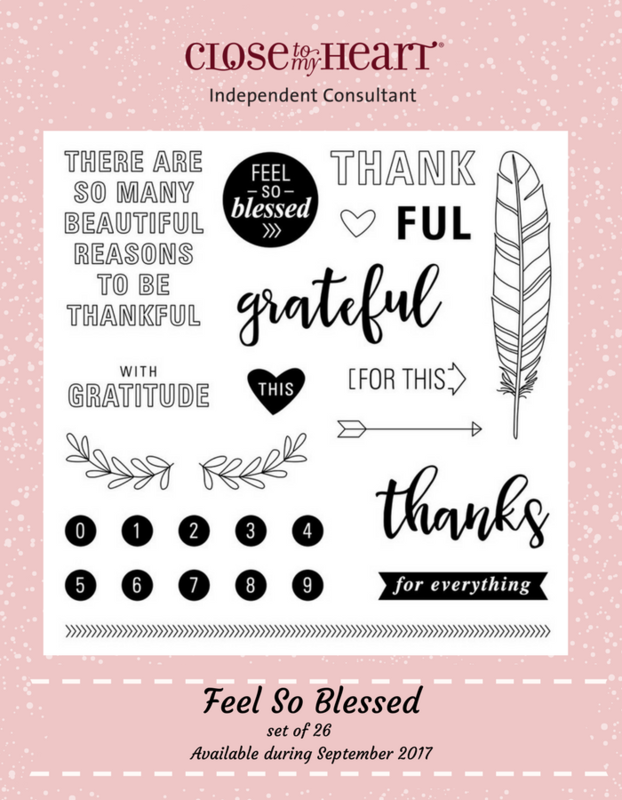 If for some reason, you get lost along the way, you can find the entire list of participating consultants on Melinda's blog to get back on track.